​Don’t let anything or anyone come between you and your relationship with Jesus Christ our Lord and Saviour. For He is the source of all life. Without Him we are all but dead corpses. Through Him we have the promise of eternal life fulfilled by His Resurrection from the dead. This truth is revealed to all whose hearts have welcomed the living God into their lives. For they live in the joy of the Resurrection. For they know that their death is just a passage into new life with Christ. 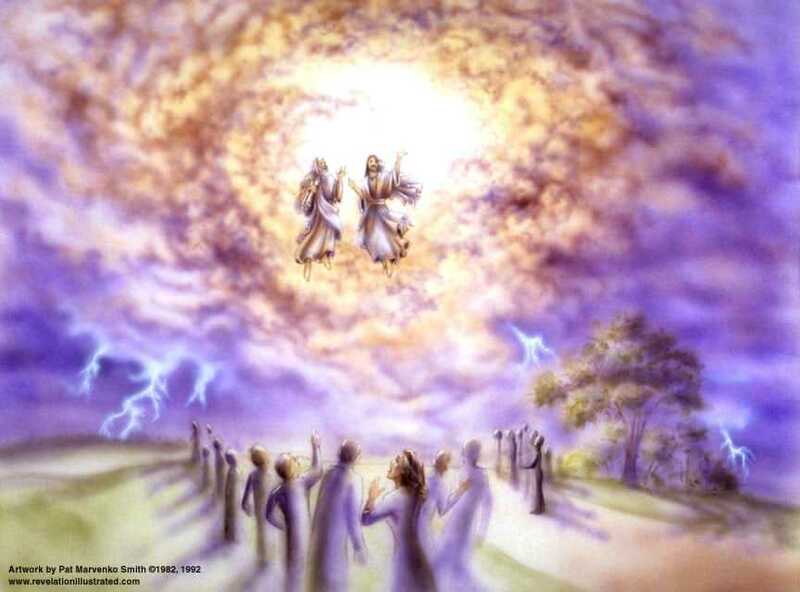 After the three-and-a-half days, God breathed life into them and they stood up, and everybody who saw it happen was terrified; then they heard a loud voice from heaven say to them, ‘Come up here’, and while their enemies were watching, they went up to heaven in a cloud.